We will be conducting interviews and hiring our fall seasonal biologist later this week, so this is the last chance to send in applications. See early post for information on how to apply. 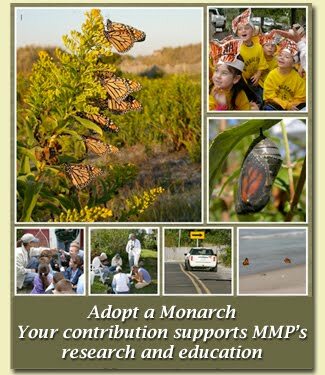 Good numbers of monarchs are being seen around Cape May right now, parents or grandparents of the butterflies that will be migrating in the autumn.